When Celine and Ben Jackson bought their son William and his two brothers laser pens for Christmas, they believed they were innocent stocking fillers, the type of toy they had enjoyed playing with safely before. But on Boxing Day, after using one of the devices, William began to complain of an uncomfortable sensation in his left eye. The 10-year-old schoolboy, from Wadsley, was checked by an optician and referred to the Royal Hallamshire Hospital, where consultants found inflammation on the macula, the vital central area of the retina at the back of the eye. 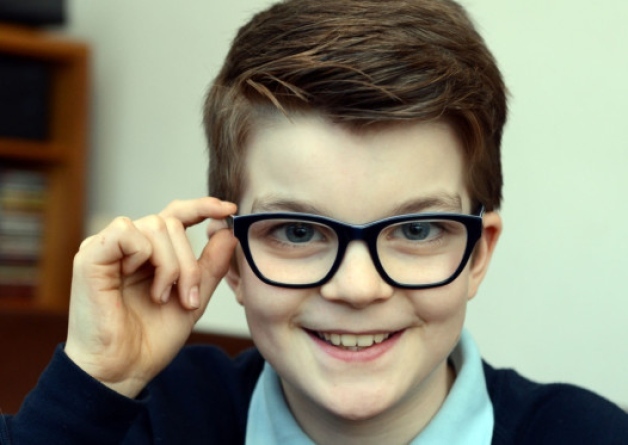 William’s eyesight then began to quickly deteriorate, causing his parents to fear he would be completely blinded. However, the youngster was prescribed steroids which reduced the swelling inside the eye, and now his sight has recovered – but Celine said there is likely to be permanent scarring. Mr Fahd Quhill, consultant ophthalmic surgeon at the Hallamshire, said: “Misuse of these products can lead to irreversible damage to the eye. Public Health England says lasers sold to the public for use as pointers should generally be restricted to class one or two devices – less than one milliwatt in power. The research was published in Eye, the journal of the Royal College of Opthalmologists. If you want to discuss the eyesight of your child please contact us.